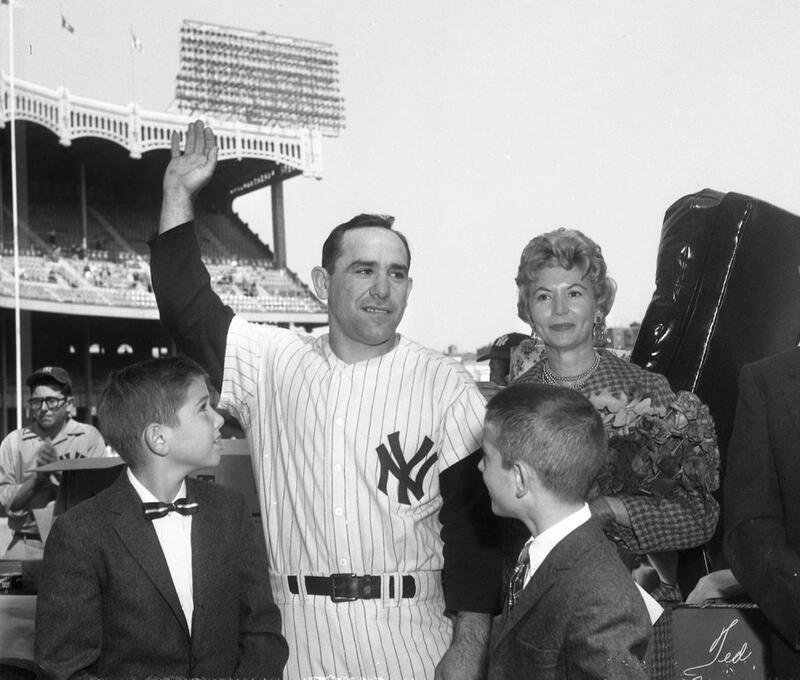 Returning to my blog after a long absence, but I’ll keep it short and sweet – on this day of memorials to the great Yogi Berra, a few rare photos of him at Yankee Stadium in the 1950’s, from various sources. 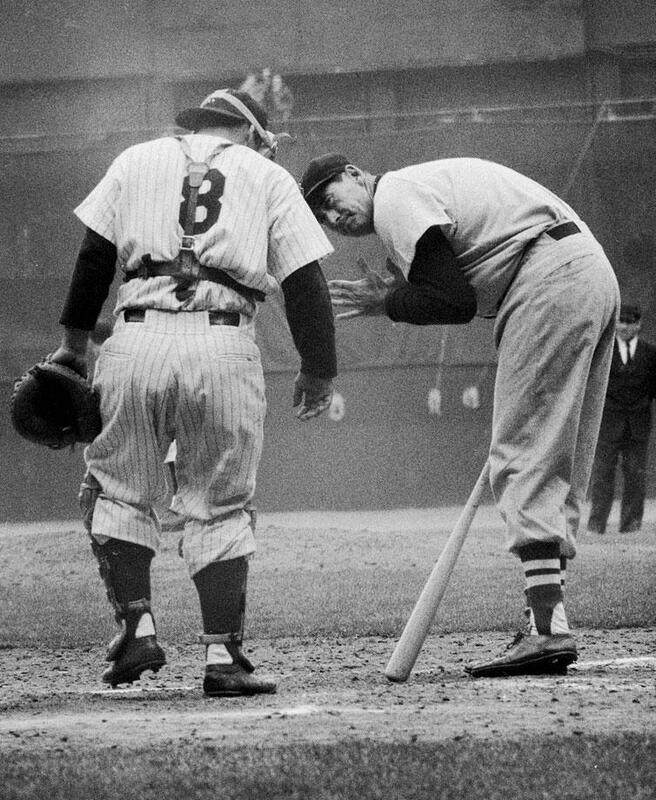 Above, Yogi dons the tools of ignorance before a game against the White Sox in 1956. Opening weekend, April 1956, either Saturday the 21th or Sunday the 22nd, Ted Williams steps to the plate in a pinch-hitting appearance. 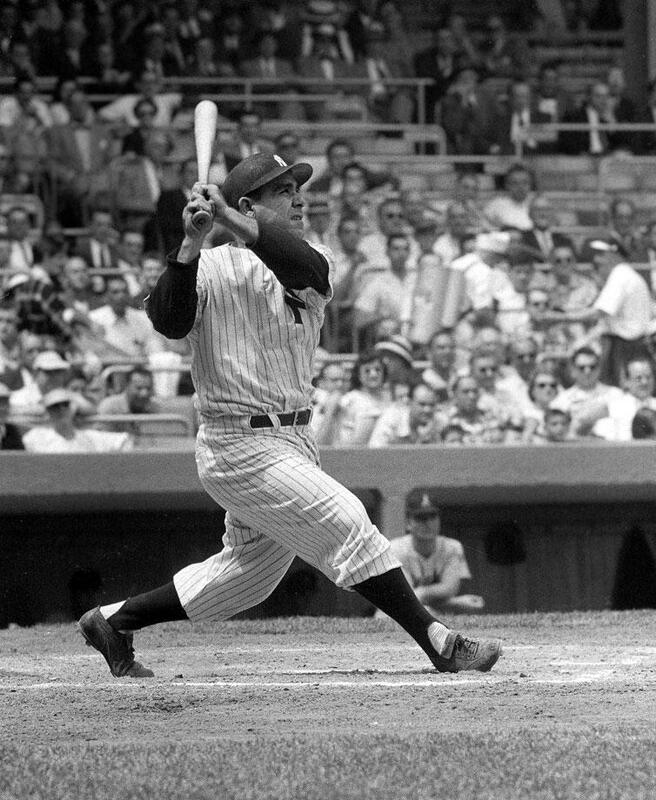 Yogi knocked in 5 over that weekend as the Yankees swept the series from the Red Sox to go to 5-1 on the short season. Wednesday, June 6, 1956. Yanks beat the K.C. A’s 10-5 to improve to an MLB best 30-17, as Yogi goes 2-4 with a 2B and HR. Losing pitcher for the Athletics? Tommy Lasorda, who would only have 7 more appearances that season to close out his short playing career. 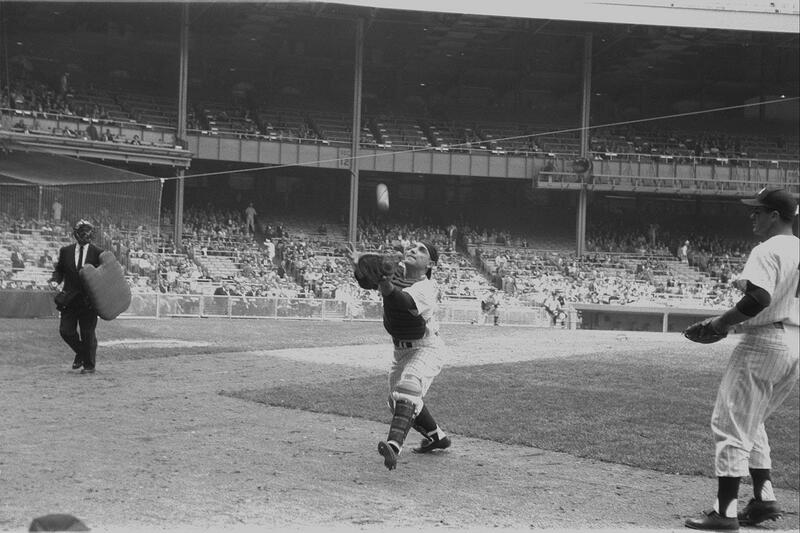 Friday, May 2, 1958, Moose Skowron looks on as Yogi catches a foul pop to help secure a CG 4-hitter for Bob Turley over the A’s, 8-1, as the Yankees improve to an MLB best 10-4. 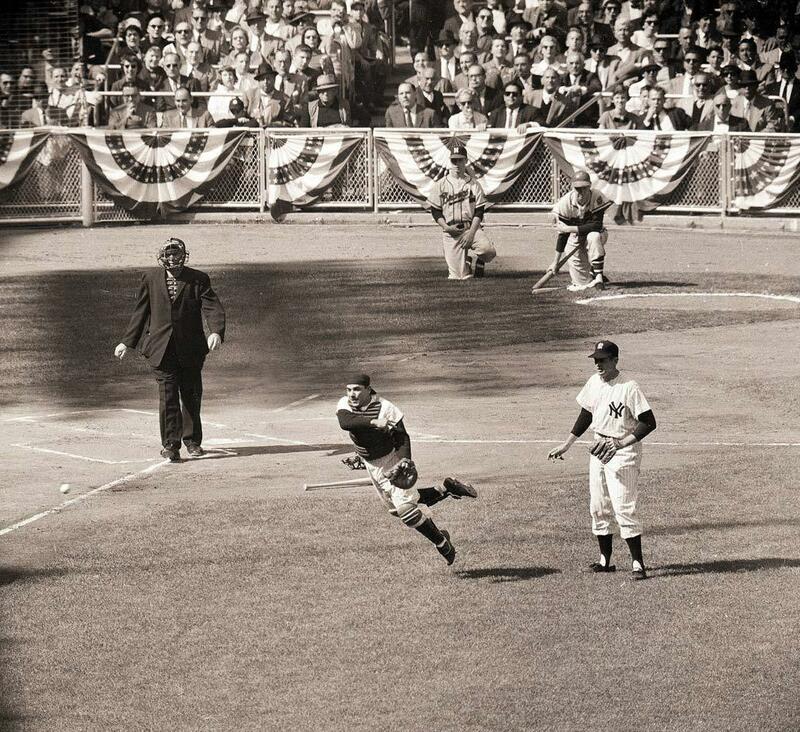 Saturday, October 4, 1958, World Series Game 3, Don Larsen and on-deck batter Red Schoendienst watch Yogi gun out the Milwaukee Braves’ Bill Bruton on a bunt attempt for the first play of the game. Yankees would shut out Milwaukee 4-0 to get their first win in the Series, and would go on to win the crown in 7 games. 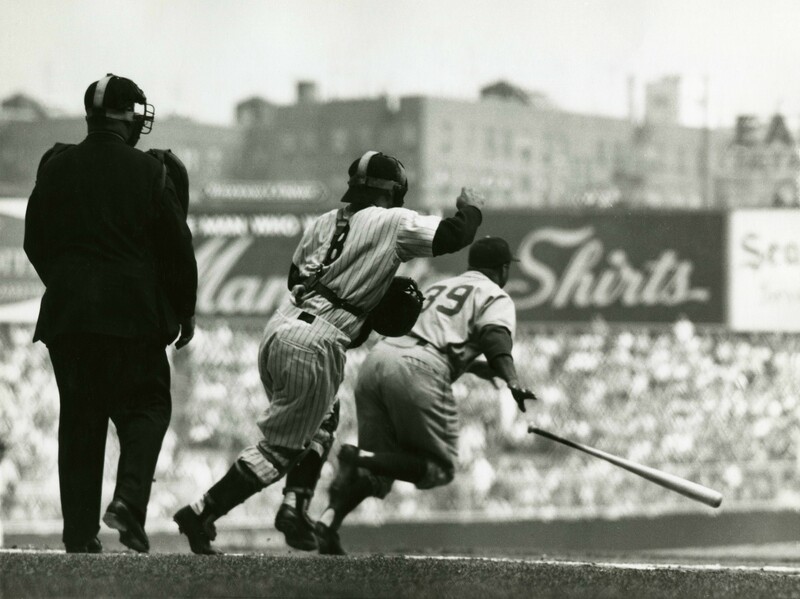 Nice shot of Yogi and Roy Campanella in action. Yogi went 0-4 but caught Whitey Ford’s CG 4-hitter against the Red Sox. 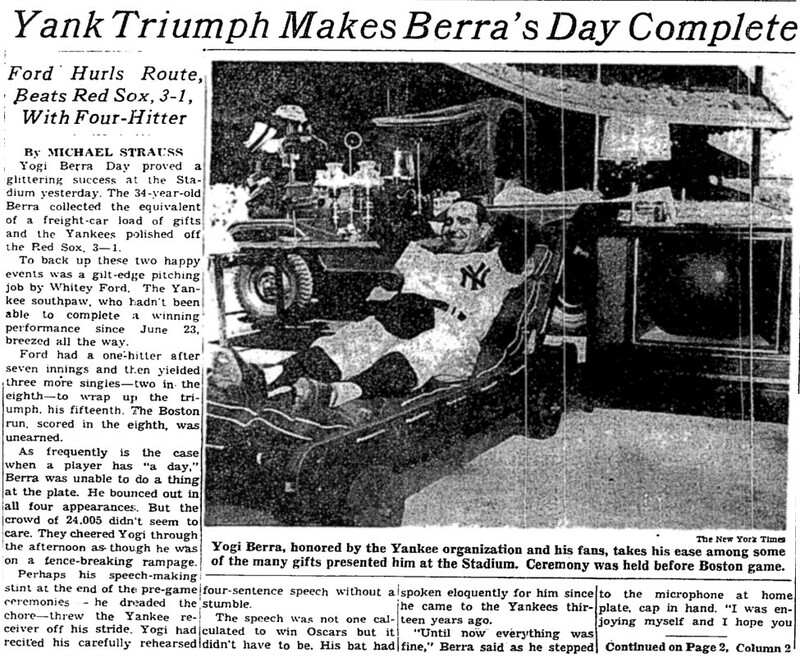 Likely unwillingly, Yogi would have more time to relax in that lounge chair that October, as it was a rare season in the Bronx with the Bombers missing the postseason for only the fourth time in his Yankee career. 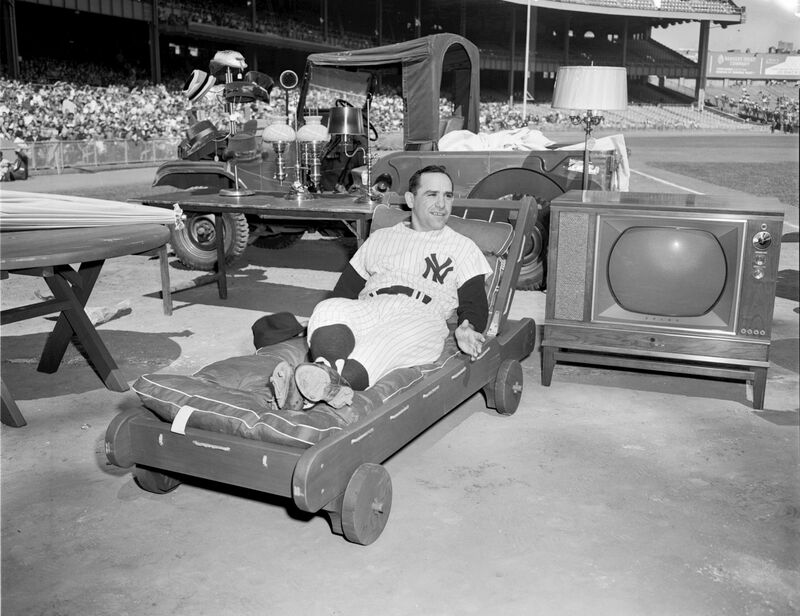 That’s it for now, but to borrow from a classic Yogi-ism, thanks Yogi, for making this all necessary. Next Burns-Eye Views of Big Time Parks – COMPLETE SET from the 1937 Chicago Tribune and Sporting News! THANK YOU TOM! GREAT PHOTOS! 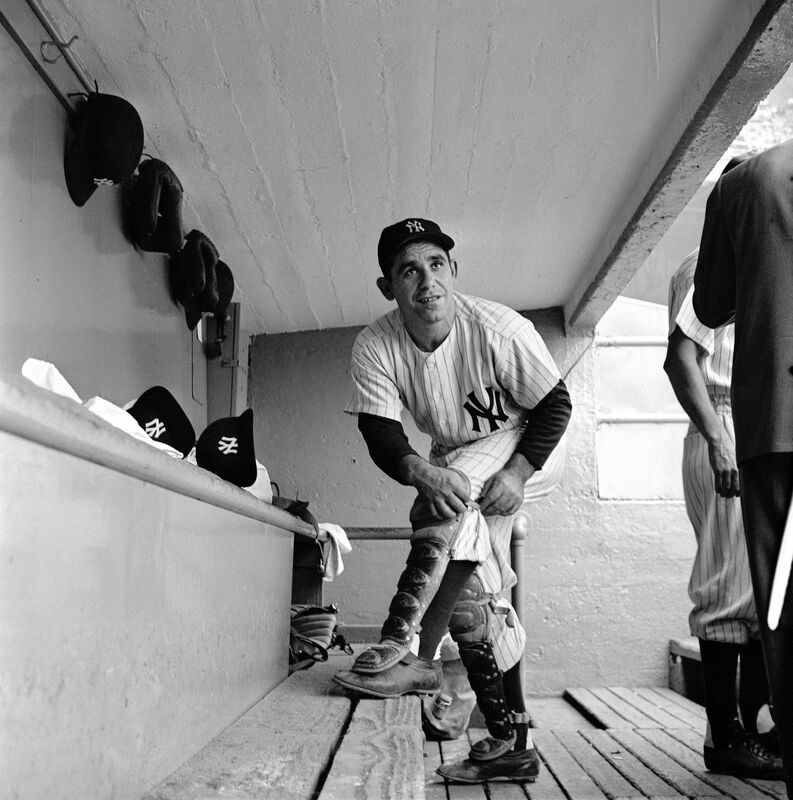 YOGI DIED ON LASORDA’S 88th BIRTHDAY PLEASE KEEP THE BLOG GOING – IT’S AWESOME! I MISSED IT TERRIBLY.